A frog on a leaf is a basic image of "what you see is what you get," when viewing the picture on the left. Imagine the frog on the leaf visual for an autistic student with sensory overload and you can understand why it is imperative that sensory integration therapy is used to help the student differentiate between a simple image versus an image overloaded with thoughts such as, "Why is the frog on the leaf?" or "Why can’t the frog get off the leaf and back to the pond?" 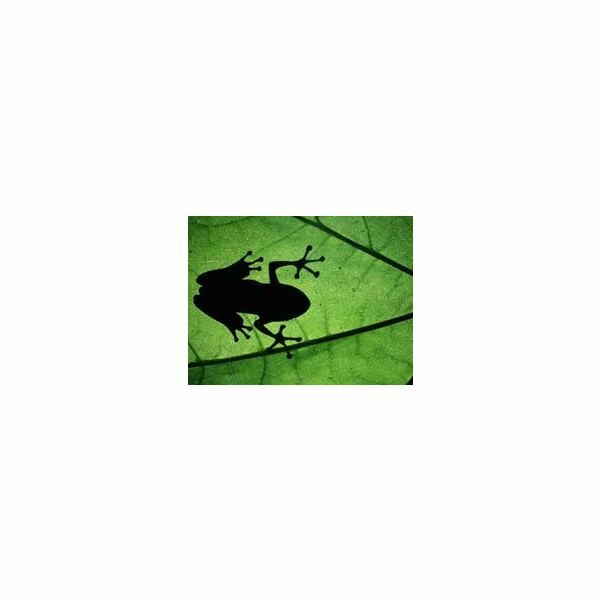 Imagining the status of the frog on the leaf can produce a overstimulation of thoughts, feelings and active musings that could create behavioral and attention difficulties for the student, the teacher and the rest of the class. Children with autism have neurological integrations that are neurally dysfunctional in regard to external stimulation. Their ability to focus on singular experiences or events when a multitude of tasks are needed to complete the task at hand is on the one hand a gift and on the other a detriment in the classroom. For instance, students who have the learning objective of writing an essay on a specific topic have a multitude of tasks that must be completed before the first word is put on the page or entered into a word.doc on the computer. Students have to choose the topic, research the topic, create a graphic organizer around the topic, choose a medium in writing the essay, write the essay, edit the essay and print the essay to turn in. For autistic students, the concentration can be one focus and one focus only, for example, "choose the topic" or "choose a medium in writing the essay." The completion of the objective is not the focus, but the one task completion can be for them. Start with early intervention and treatment in providing therapy strategies and models that address sensory stimulations issues. Create modified and scaffolded lesson planning that provide students with singular chunks of information to focus on instead of the entire lesson goal and outcome. For instance with the essay example above, start with having students choose a topic of interest and have them create a topic for the essay as the initial focus. Understand that autistic students have learning styles and ways to process the learning just like all students in the classroom. Find out if their learning style is visual, auditory, kinesthetic or self-expression and create lesson designs that showcase their strengths as you work on identified deficiencies designated in their IEP (Individualized Education Plan). Create a sensory muted classroom environment with "less is more" as you decorate classroom walls and organize bookcases and learning materials. Instead of putting up all of the posters for each month on the walls, create one wall and post one poster a month. Have cabinets with doors that can close to store books and learning materials. Create a seating arrangement with a designated area for your autistic student that is clutter free and equipped only with the tools and materials for the day’s learning objectives. Educate yourself on the current research regarding sensory integration therapy by going to the following website: NAPCSE (National Association of Parents with Children in Special Education) https://www.napcse.org to find out information on this topic and other topics impacting exceptional children and those with disabilities.